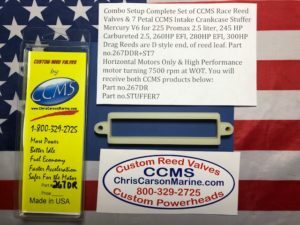 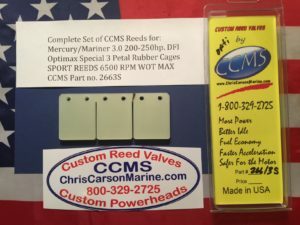 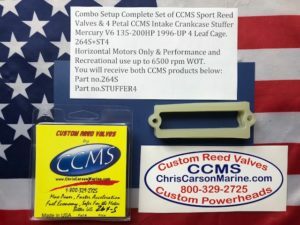 CCMS Mercury/Mariner Race Reeds and Intake Crankcase Stuffer Combo Kit. 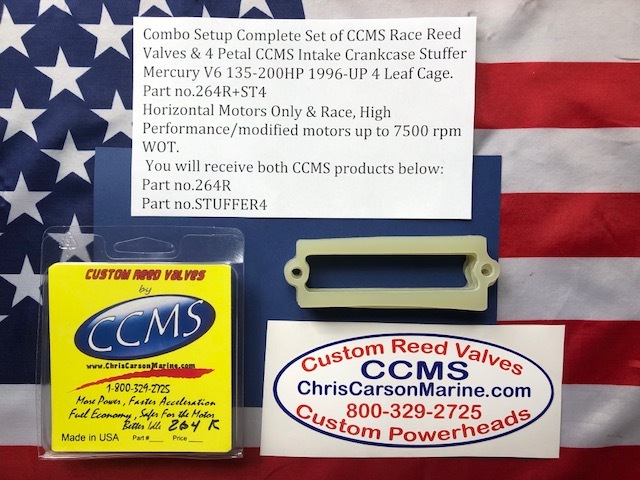 This Kit for a Horizontal Motors Only Mercury V6 135-200hp. 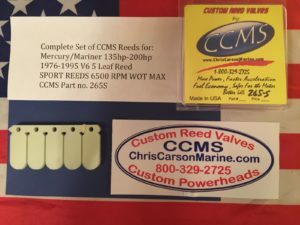 1996 & Up 4 Leaf Cage Setup, Recreational Boat use up to 7500 rpm at WOT.